Shashi Bhat’s short fiction has appeared in several journals, including PRISM international, Event, The Threepenny Review, The Missouri Review, and Nimrod International. She was a finalist for the RBC Bronwen Wallace Award, was nominated for the Pushcart Prize, and was longlisted for the Journey Prize. Her first novel is forthcoming from Cormorant Books. She received her MFA in fiction from the Johns Hopkins University, and is currently an assistant professor of creative writing at Dalhousie University. I knew I wanted to write starting around age 8, after publishing my first poem, “You’re Killing the Ozone.” It appeared in one of those anthologies where they publish every poem they receive and then charge you fifty dollars to buy the book it’s in. I think I rhymed “styrofoam” with “the earth, our home.” But I didn’t think of writing an actual book until I was in grad school for fiction writing and I realized that’s what was expected of us. At that point I’d only written short stories and the idea of a novel seemed far too ambitious. I tend to go through long periods when I don’t write at all and feel really guilty about it, and then I write nonstop for a few weeks. The latter is the best of times, because I walk around feeling as though anything I encounter could appear in my fiction. I’ll walk by a beautiful shrub or a funny-looking dog or anything at all and it’ll go in the story. I like to write in coffee shops; I write in one until I’m finished my coffee and then carry my laptop to a different one for a change of scenery. I write my outlines in a notebook but I type the actual stories. I re-read favourite short stories – Amy Hempel’s In the Cemetery Where Al Jolson Was Buried, Stuart Dybek’s Pet Milk, Ann Beattie’s Snow. Over the summer I read Aimee Bender’s The Particular Sadness of Lemon Cake. It’s magical and poignant and full of food, and narrated by a young person – those are all my favourite elements for a piece of fiction to have. Isabel Huggan’s The Elizabeth Stories. I read it about a year ago and it is so, so good. I wish I hadn’t read it yet so I could read it again for the first time. She pushes her characters so much further than I expect them to go. She doesn’t mind humiliating her protagonist or being cruel to her or making her act like a jerk occasionally, and still I love the narrator so much. I feel as though I learned a lot from that collection. Other favourites: Yann Martel’s Life of Pi, Lauren Groff’s Delicate, Edible Birds, Margaret Atwood’s Cat’s Eye, Ray Bradbury short stories. I would write. That’s probably the wrong answer, since it’s so egotistical and self-indulgent. I get a contentment and satisfaction out of creating that I don’t get from anything else. Reality TV. No, just kidding. Rational decision-making. Coffee shop writing – that looks very energizing ! Can’t wait to read your book. I enjoyed reading a few of your short stories given by Girish uncle ,Mangalore. I am happy to see that you have blossomed into a creative writer and professor of English. Keep writing…. 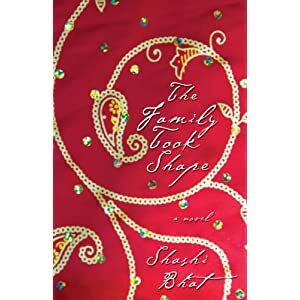 You are currently reading The Three Rs: Shashi Bhat at Slightly Bookist.